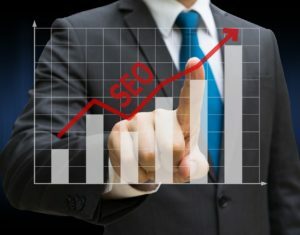 How can you improve your SEO without spending big bucks? Do you wish you knew the secrets to getting your business’s website on the top of search engine results? Join the club. For most small business owners, paying for the right to be on top is out of reach. Fortunately, that’s not your only option. Here’s what small business owners in a recent Clutch survey are doing to boost their SEO. Which of these SEO tactics make the biggest difference in your website’s search engine results position and which ones are less likely to pay off? Here’s what the study has to say. Social media marketing is an important part of your overall marketing strategy, as it can build your brand, raise awareness of your business, and help get customers in the door. However, when it comes to SEO, the jury is still out on exactly how much social media marketing actually helps. That means relying on social media marketing to improve your SEO (which many small business owners in the survey are doing) probably won’t get the results you want. Because Google uses mobile friendliness as a factor in its search rankings, a mobile-friendly website has become essential to good SEO. When you consider how many people use their phones for search, it’s clear why mobile-friendliness matters. Test how mobile-friendly your website is here and make sure that your website loads quickly on mobile devices. Keywords are the words most searched on; they vary for every type of business website. For example, for SmallBizDaily, our keywords are small business ideas, small business opportunities and so on. The Google’s Webmaster Guidelines, which advises businesses how to improve search engine rankings, primarily suggests making your site informative and full of the keywords online searchers are most likely to enter when looking for businesses like yours. The secret here is to include keywords in your website content but not to overdo it. Search engines know when you’re throwing keywords in just for ranking (“keyword stuffing”) and will penalize you. Don’t even consider using underhanded tricks such as cloaking and doorway pages to improve your SEO. To get the best keywords for your industry, use tools such as Google Ads Keyword Planner, which is free, or pay for a tool such as Wordtracker or KeywordSpy (both offer free trials so you can see how they work for you). Also, follow the other tips in Google’s Webmaster Guidelines, such as using lots of text links, making sure your pages don’t have any broken links, and submitting a site map to Google so they can learn more about your site. After you’ve identified your keywords, attract users to your website by featuring high-quality content related to those keywords. You can also come up with good content by identifying the most common questions your customers have and creating content that answers those queries.